Driverless truck company based in San Francisco, California. Starsky Robotics (also known as Starsky) is a company in the autonomous truck market. It provides a system that enables trucks to drive without a person in the vehicle. The company's stated goal is to make roads safer while giving drivers work closer to their homes and families. Starsky Robotics’ system focuses on the issue of final-mile delivery by removing drivers from the cab entirely and putting them in an office where they can remotely operate the truck from terminal to delivery. 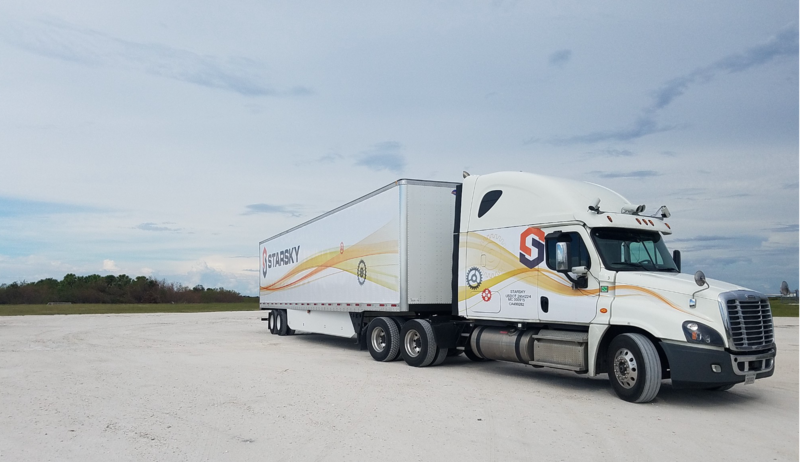 ﻿Starsky Robotics has tested a fully unmanned truck in Florida, and the team is developing fully autonomous commercial trucks. Starsky has raised $21.7 million to date. Shasta Ventures, Y Combinator, Trucks.vc, 9Point Ventures, Fifty Years and others have invested in various rounds of funding. ﻿In 2017, Starsky Robotics announced that it had raised over $5 million from Y Combinator, Sam Altman, Trucks VC, and Data Collective to create an autonomous trucking company. ﻿In 2018, company closed a $16.5 million Series A, led by Shasta Ventures. Bloomberg, CNN﻿, The Wallstreet Journal, Fortune, Financial Times﻿, TechCrunch﻿, Business Insider﻿ and other publications. Starsky drove a truck fully unmanned for seven miles on the highway in Florida. Starsky Robotics closed a $16.5m Series A round led by Shasta Ventures. Starsky Robotics announced that it had raised over $5 million from Y Combinator, Sam Altman, Trucks VC, and Data Collective to create an autonomous trucking company. Starsky came out of stealth announcing that they autonomously moved freight on the highway. Starsky Robotics went through Y Combinator in 2016. Founded in 2015 by Stefan Seltz-Axmacher and Kartik Tiwari. Short-documentary on Starsky Robotics and how it's CEO, Stefan Seltz-Axmacher, thinks driverless trucks will affect the world.